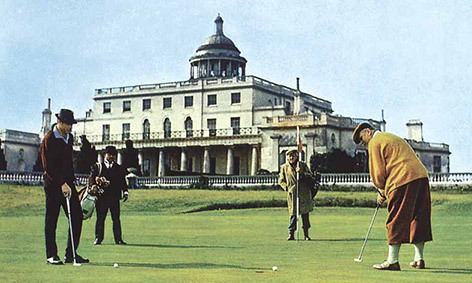 Like Bond and Goldfinger, golfers will have the opportunity to compete on Stoke Park’s legendary 1908 Championship golf course, indulge on award -winning Head Chef Chris Wheeler’s exquisite cuisine, and dance into the night with live music. ‘Spinal Research is the UK’s leading and most influential spinal cord repair charity. We’re here to give hope to the 50,000 people living with a spinal cord injury in the UK and Ireland by supporting research around the world to develop reliable treatments for paralysis caused by a broken neck or back. Over the last few years we have taken significant steps forward and now stand on the brink of clinical trials involving paralysed volunteers. We’re only able to progress this vital work thanks to the fundraising efforts of our supporters and are immensely grateful to Stoke Park for hosting the James Bond Golf Day.’ Jonathan Miall, Chief Executive, Spinal Research. 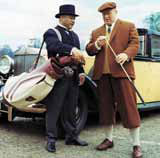 Whilst the 25 teams compete on the golf course, non-competitors will be able to enjoy Stoke Park’s award winning spa, gym, tennis clinics, golf clinics, Ride and Drives in Aston Martin’s or even award winning afternoon tea, before changing into Black Tie attire for the evening’s entertainment. The event has been supported by Aston Martin, Virgin Atlantic and Champagne Bollinger. 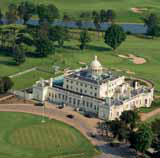 For more info on James Bond and Stoke Park, click here.